Katrina attended HCC and has been certified as an Extended Function Dental Assistant since 2006. She acts as a representative for Valley Dental Associates at various community activities and functions. Her warm smile and extensive knowledge gives our patients a sense of ease. Katrina particularly enjoys working with cosmetic cases because of the impact it has on a person’s emotional and physical well-being. Being able to provide patients with procedural knowledge and a beautiful smile gives her great satisfaction. Katrina has a big heart and a caring way of explaining procedures to our patients. Because of this, she provides them with a relaxed and comfortable visit to the office. Katrina is the cornerstone of our team at Valley Dental Associates! Denise attended HCC for her dental assistant program and began her dental career in 2010. She completed her expanded functions certification in Columbia, MD. With us since 2014, Denise helps our dentists during procedures and does all that she can to ensure each patient’s comfort. Her favorite part of her job is helping patients achieve healthy smiles that are beautiful, too! 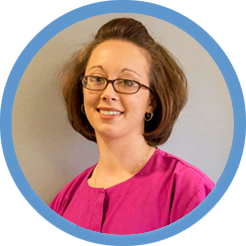 Alyssa graduated from Allegany College of Maryland in 2007 as a dental hygienist and joined our office the same year. She engages a quick rapport with patients of all ages, utilizing her charming wit and engaging smile. Developing long-term relationships is easy for Alyssa; having those relationships developed in the dental office transition into long term personal friendships is not unusual for her. After growing up with a fear of the dentist, she particularly enjoys comforting and educating her patients, so they feel safe and knowledgeable about procedures. Her gentle touch wins them over every time! Shawna joined our team in October 2015. She graduated from Allegany College of Maryland in 2015. Her passion for dental hygiene started when she was a kid. She loved going to the dentist, especially her hygiene visits. She loves the opportunity to work one on one with her patients, educating them on what is best for them to obtain optimal oral health. She believes everyone should love their smile. Shawna was born and raised in Hagerstown, Maryland. She currently resides in Greencastle, Pennsylvania with her husband, Michael, her son, Chase, and two dogs, Charlie and Sampson. Tracy joined our team in June 2016 as a business assistant and has transitioned to office manager. She graduated from University of Maryland with a Bachelor’s Degree in Business Administration and Human Resource Management. She has been working in the dental field for several years and is very knowledgeable when it come to insurance companies and benefits. Tracy is very capable of helping our patients understand their treatments, financial estimates and insurance benefits. 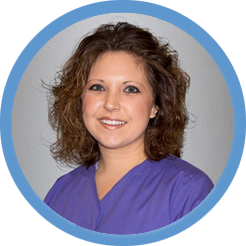 She enjoys working with our team and building great relationships with our patients. As a teenager with braces, Rachel was impressed by how happy, positive, and welcoming the doctors and dental assistants were during her appointments. This piqued her interest enough that she has been working in dentistry since 2009. In that time, Rachel has been a dental assistant, orthodontics assistant, and x-ray technician, as well as her current role as a dental hygienist. During her education, Rachel was a member of Phi Theta Kappa and a member and Vice President of her local chapter of ADHA. She earned the MDHA State Leadership Award. Rachel says her passion is in volunteer work. She loves to provide access to the less fortunate through health fairs and similar events. Rachel says that patient education is key to great oral health outcomes. She finds it rewarding to take time to explain what patients need to know to maintain optimal oral health. When not working, Rachel loves to be outside. She hikes, bikes, swims, and runs, all for fun. Rachel enjoys sharing outdoor time with her daughters, fostering joy in adventure. Her favorite hobby is hunting for shark teeth fossils. Fun fact: Rachel’s first job as a teenager was as a birthday clown! She has always loved making people smile.